Looking for a classic party snack or appetizer everyone will love? 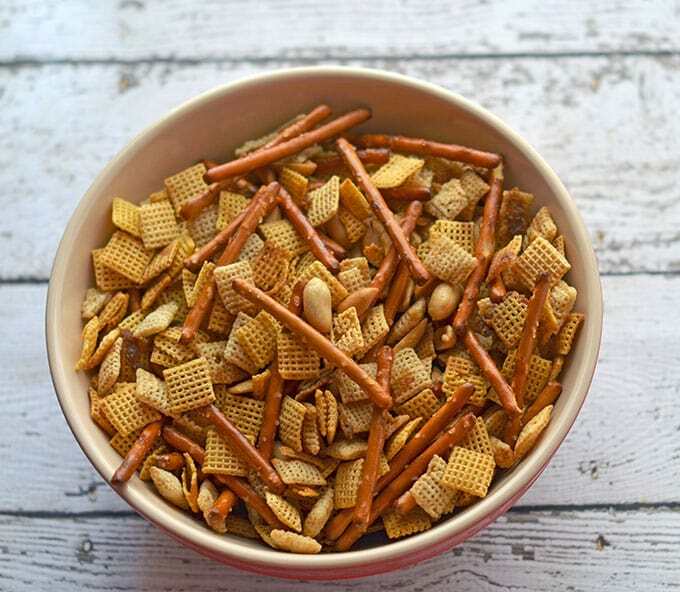 You must try our Chex Party Mix recipe! This is a sponsored article written by Smart Savvy Living on behalf of General Mills®. Happy March! Are you ready to watch some awesome college basketball games? I’m honestly not a huge sports fan, but I’ve always enjoyed keeping up with college basketball ever since middle school. Our teachers always had fun bets between each other for the various North Carolina teams and it just made it more fun to watch the games and see who won. Plus, as you all know, I’m all about the snacks and appetizers so watching the big game is the perfect excuse to enjoy some bite-sized eats. Constantly making all those delicious snack recipes can, however, make more than a small dent in your grocery budget. 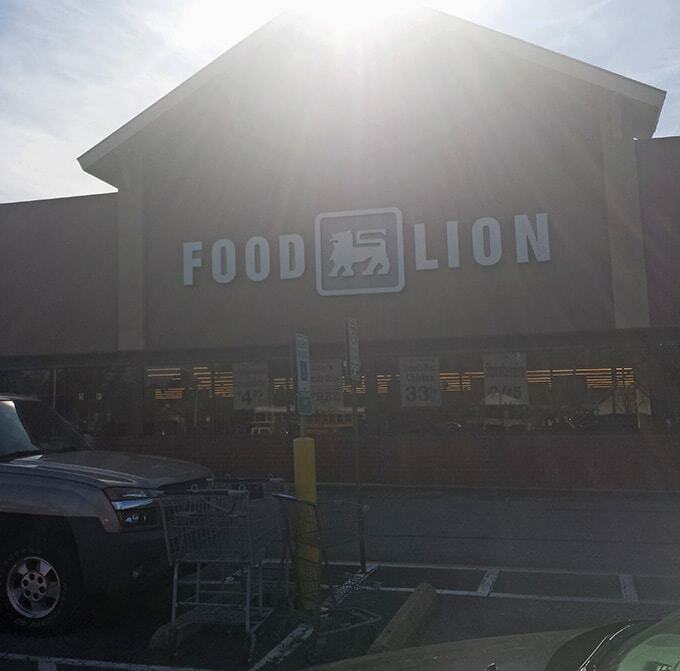 That’s why I was excited to hear about the Food Lion® sale on General Mills products! Just buy 10 General Mills products in one visit and get $5 off your next visit when you use your Food Lion® MVP card. The offer applies only to participating General Mills items, and there are more than 150 items applicable for the offer. The participating items will also have a shelf tag on them in the store for the duration of the sale (3/3 – 3/16) to make them easy to find. The $5 off coupon that you get is good through March 30th. 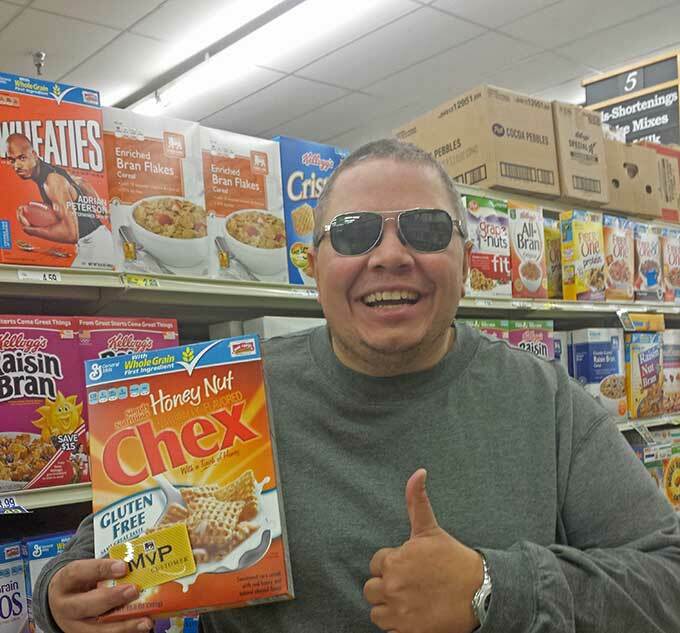 I was especially excited to see two particular products on the sale list: Corn Chex® cereal and Rice Chex® cereal. Mr. Savvy is constantly asking me to make my Chex® Party Mix recipe, so this will be a great time to stock up on the cereal. I can’t really blame him, because I think the mix is delicious as well. You know how it goes. One minute you’re taking a handful out of the bowl, then a few minutes later the bowl is empty and you can’t believe you ate all of it! Yep, it’s that good. I’ve made both sweet and savory versions before, but today I’m sharing the savory version. I found it super helpful that the qualifying products are marked with a tag. My Chex® mix recipe is a bit different from most, as I use more seasoning ingredients. I really like my snack mixes to have a good pop of flavor, and I sometimes find the minimal seasoning to be a bit bland. Here’s how I make my Chex® mix. This Chex party mix recipe is full of great flavor for parties and snacking! Melt butter on half-sheet baking pan with a lip in oven. You can also use a 9x13, but I prefer the surface area of the half-sheet. I like to line the pan with foil for easy clean up. Once butter has melted, add garlic and onion powder, salt, cayenne, lemon juice and Worcestershire sauce, whisking thoroughly to combine. Add cereal, peanuts and pretzels, and stir until all ingredients are coated. Bake for 45 minutes at 250F, stirring approximately every 15 minutes. Once done, spread out in even layer on parchment paper to cool completely. Once cool, serve immediately or store in air-tight container at room temperature for up to 3 days. 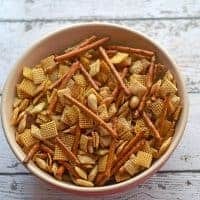 This chex mix recipe is completely versatile, so you can add various spices or switch out cereals, crackers, etc. For more information about Food Lion®, follow @FoodLion on Twitter and Facebook. This giveaway has now concluded. Congrats to our winner: Sandra V.
Michelle is the founder and blogger behind Smart Savvy Living. She lives in Hampton Roads, Virginia where she enjoys creating recipes, learning how to do things smarter, photography, tech, gardening, and herding cats. She can be reached at [email protected]tSavvyLiving.com. I miss eating Chex Party Mix! I should be able to make it gluten free! 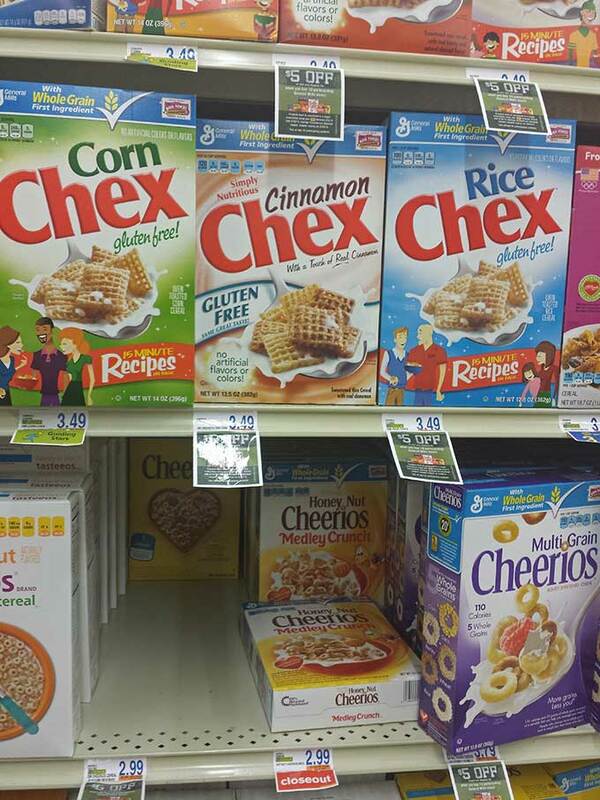 Most of the Chex cereals are gluten free and now they have gluten free pretzels…oh I need to whip up a batch! I like good ole’ fashioned chips and dip; especially french onion dip with sour cream chips! buffalo wings are my fave! The Chex party mix is one of my favorite snacks. We always have it on hand. There is something in there for everyone.